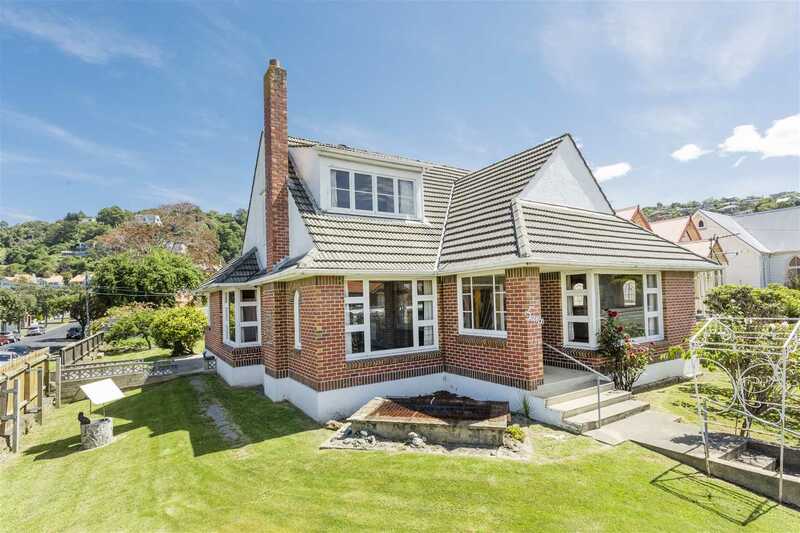 If you have walked to the beach, Saint Clair School, Esplanade or the hot salt water pool, or even used the bus, you will know this handsome brick house sitting proud on its corner site with Hobson Street. Fully fenced it's also a secure site, with an older style garage on Hobson. We know you will be intrigued to view, and it won't disappoint, being almost a step back in time with its original décor, amenities, carpets etc. Although built in the 1960's, there are a lot of art deco/features. The formal lounge is spacious, elegant and light with double doors opening to the living room, which in turn flows to the dining-kitchen (original), overlooking the back section. The bathroom and laundry are also on this level, as well as two (of the four) roomy bedrooms. The elegant staircase takes you up to the other two bedrooms. Having never been officially on the market for decades, this is your opportunity to buy this special house!